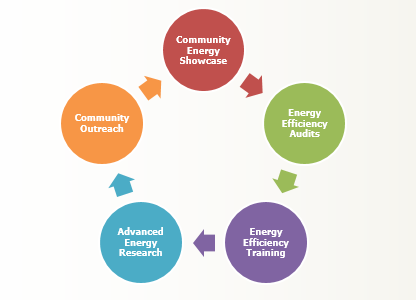 RLD Resources, LLC is committed to moving towards energy smart communities. We have been pairing up with several well-renowned companies to start initiatives towards that cause, while supporting our mission of keeping your cost of business manageable. The Dent on Energy’s Smart Thermostat program, launched in 2013, paired up with ComEd for the sales and installations of NEST thermostats in local businesses to provide comprehensive energy management services including energy audits, energy procurement and sustainability consulting. The Smart Thermostat initiative ended 5/31/2014, however, please contact us directly if you are interested in learning to see if you qualify. 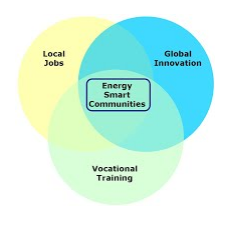 Another initiative for the future of RLD Resources is a The Great Lakes Center for Energy Smart Communities (GLC), an innovative energy community center being created in the historic Park Forest, IL. 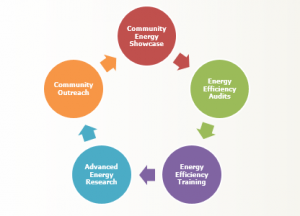 The mission of the GLC is to reduce building related energy-costs in South Chicagoland neighborhoods, with a goal acting as a community outreach program by creating local jobs, vocational training and global innovation. The facility, which is still under construction, will include 100,000 square feet of research labs and a learning center that offers job placement, education, economic development and outreach programs to residents across several suburban areas. A long vacant building, once home to a burger machine factory, will serve as the symbol of a bright new energy smart future.